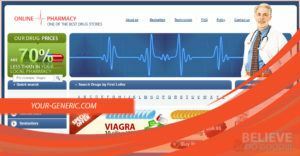 Orderedpills.com is an online drugstore that has been in operation for the past 10 years which claims to provide their customers with the best generic erectile dysfunction medications at affordable prices. Orderedpills.com is based in the United Kingdom though the products sold are sourced from Indian Manufacturers and have been approved by the India FDA. 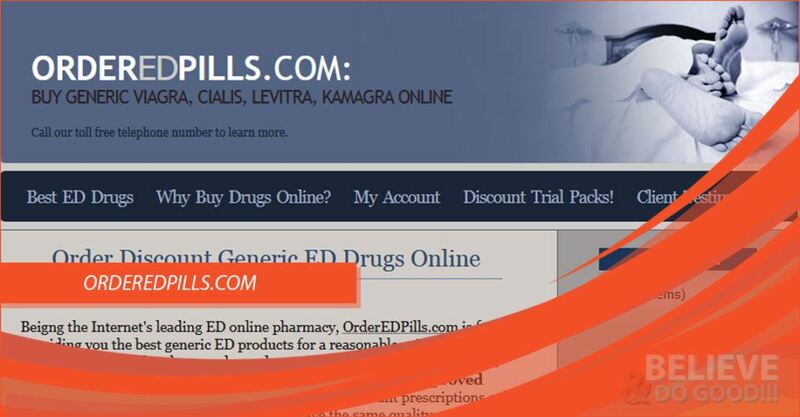 The medications stocked have been listed on the homepage and they include Generic Cialis which is sold at $1.93 per pill, Generic Viagra which is sold at $0.72 per pill, Cialis Soft Tabs, Brand Kamagra, Kamagra Oral Jelly, Levitra, ED Trial Pack, and Viagra Soft Tabs. You will not be required to provide a prescription to purchase any of the medications stocked at orderedpills.com. It is also claimed that though the medications will cost almost 80% less than what the brand medications will cost, the working is the same. Since there is no frequently asked questions section, I decided to try and make a purchase so that I can know the accepted means of paying for the medications at ordered pills.com. Some of these are Visa, JVC, American Express, MasterCard, and Bitcoins. If you do not wish to proceed with placing your order, you will have to do so within 24 hours after placing the order. You will be required to send an email to the support team to inform them of your decision. If you wait until 24 hours are over before letting your intention known, the cancellation of the order will not be possible. The shipping of the medications will be done via the International Unregistered Mail which will take a maximum of 21 days for the medications to be delivered or the trackable courier service which will take a maximum of 9 days to have the purchased products delivered. The international unregistered mail is free to all destinations but for the trackable courier service, the payment is $30. If your order contains more than 90 pills, the order will be sent in two separate packs, the first envelope will have 30 pills plus 4 bonus pills and the other envelope will contain the other 60 pills. The packages will be sent one week apart for security purposes. All the medications will be shipped from India though Orderedpills.com claims to be based in the United Kingdom. If your order is lost or damaged during the shipping, orderedpills.com will reship the medications free of charge or issue a refund if you cannot wait for the drugs to be shipped again. If the medications were lost because you gave the wrong address, no refund will be issued and you will have to make another payment if you still wish to have the medications shipped to you. If you are not satisfied with the products delivered, you will be required to contact the support team for help. Customers are advised to ensure that they are taking the right dose and in the right condition before coming to the conclusion that the pills are not working. You will be given a return address to which the medications will be shipped to and once the medications are received, the process of the refund will be processed. To contact the support team, you can make a call using the toll-free numbers +1 800 532 48 08 for the US residents or +44 200 222 70 84 for the EU and the UK residents. You can also send a message to the support team using the provided contact form or use the live chat option to reach out to the support team. I went further to search for what the customers who buy from orderedpills.com are saying and unfortunately what I could find were onsite testimonials. Customers are happy with the timely delivery of their orders and the effectiveness of the erectile dysfunction medications delivered. Ed D says that he had been struggling with erectile dysfunction but had a feeling that a little help would help to overcome the issue. He says that the Viagra pills purchased from orderedpills.com were very effective. Rod is also a satisfied customer having received his order and some bonus pills as well. He says that he will be placing another order soon and also recommends orderedpills.com to all his friends. 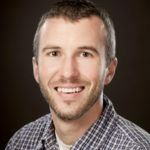 James M is happy for the help received from the support team when placing his order. They kept in touch during the entire process so that they would offer help if a need arose and as a result, he will be placing another order. Getting to hear first-hand information from a person who has dealt with orderedpills.com is paramount but information on the website does not give us a clear picture. This is because the possibility of such reviews being fake is very high, just like many other online pharmacies are doing to get more customers. I still went further to know how the customers who have made a more recent transaction with orderedpills.com were saying and like the previous reviews, these could only be accessed on the official website. 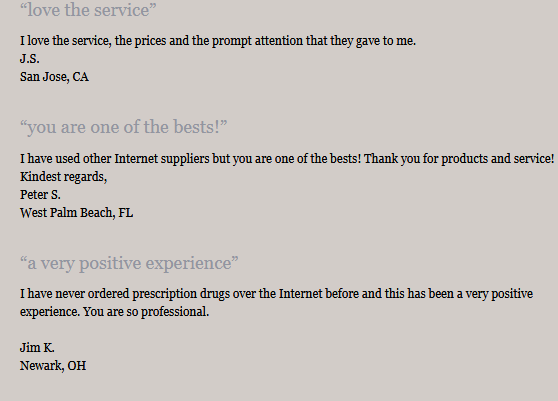 Customers are appreciating the prompt service and the low prices for their medications. San Jose placed an order and he is happy that the prices are low and the services are offered promptly. Peter S says that he has been buying from other online pharmacies but orderedpills.com is the best. He sends his appreciation for the prompt services. I do not know how true these reviews are and due to this, I am unable to confidently say if this site can be trusted or the customers will be putting their lives at risk by using products purchased from them. Orderedpills.com should make an effort of encouraging their clients to use independent reviews when submitting reviews. There are a few discounts that are currently active at orderedpills.com. For all orders placed at orderedpills.com, 4 generic Viagra soft pills will be offered. The shipping of medications using the unregistered mail service is free to all destinations. 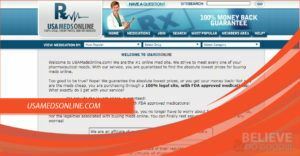 Orderedpill.com is an online pharmacy that has no reviews from independent review sites which makes it hard to determine if it is legitimate or a scam website. 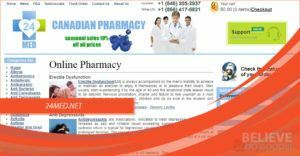 They only deal with erectile dysfunction medications which they claim have been approved by the Indian FDA. I tried their live chat option and the reply was prompt and they deserve credit for that. The greatest setback is the lack of independent reviews.